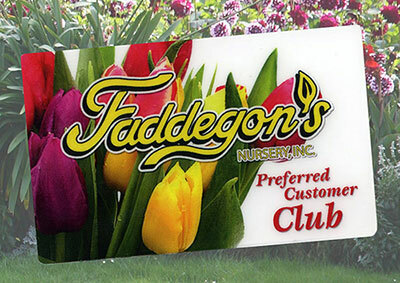 Faddegon's Nursery, Inc. Specials | Faddegon's Nursery, Inc. Excludes fresh greens, greens arrangements, trees, live plants and plant arrangements. Frasier Fir by The Thymes, socks, candles, & lanterns. Click here for our current discounts! We will never share your email address or personal information. Regularly $2.99 per pack, our club members get a lower price on any plants coming in a 6-pack (1206 cel pack). This price applies all season long just for you. 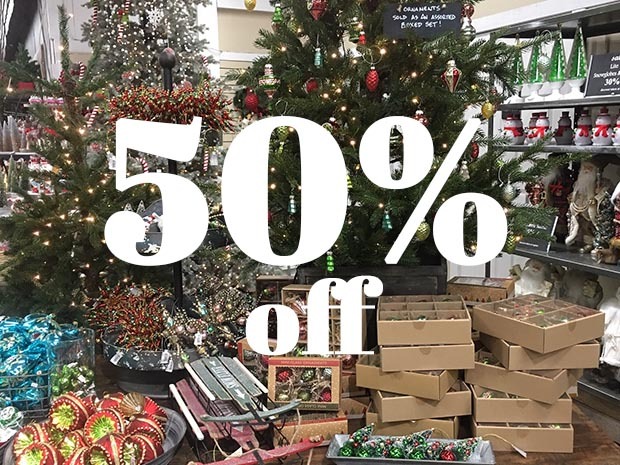 When you buy 3 or more varieties or sizes within the same species, you’ll receive 15% off each plant. 2 Hydrangea ‘Pinky Winky’ and 1 Hydrangea ‘Twist and Shout’? Mix and Match! Fundy Blend is the ideal top-dressing for roses and perennials. Coast of Maine combines some of their limited supply of very old, humified birch and maple bark with partially humified hemlock bark and a very rich compost made of kelp solids and sphagnum moss peat. The result is an almost black humus that is rich in organic matter with all the added benefits of both compost and kelp. Fundy Blend will both enrich your soil and help retain moisture. In Blossom Booster 10-30-20, the first number is for Nitrogen. This product contains 10% Nitrogen. The second number is for Phosphate. This product contains 30% Phosphorus as P2O5. The third number is for Potash. This product contains 20% Potassium as K2O. These three elements: Nitrogen, Phosphorus and Potassium are the major elements in any plant food. In 2006, SUPERthrive® inventor Dr. John A.A. Thomson was the first chemist to win the Lifetime Achievement Award from Lawn and Garden Marketing and Distribution Association. Thomson developed the SUPERthrive® formula in 1939. Seventy-two years later, he was still engaged in the daily operations of his company, the Vitamin Institute, actively selling worldwide. Sight, smell, shape and feel have become the trademark of Primal Elements soaps. The colors and shapes coordinate with unique scents for a beautifully fragrant presentation; all soaps contain vegetable glycerin, which moisturizes the skin with a luxurious lather that rinses cleanly away. We use pure essential oils and popular fragrance oils for optimum fragrance. Receive our eNews full of great information about plants, promotions, & events. We’ll never share your name or email address!